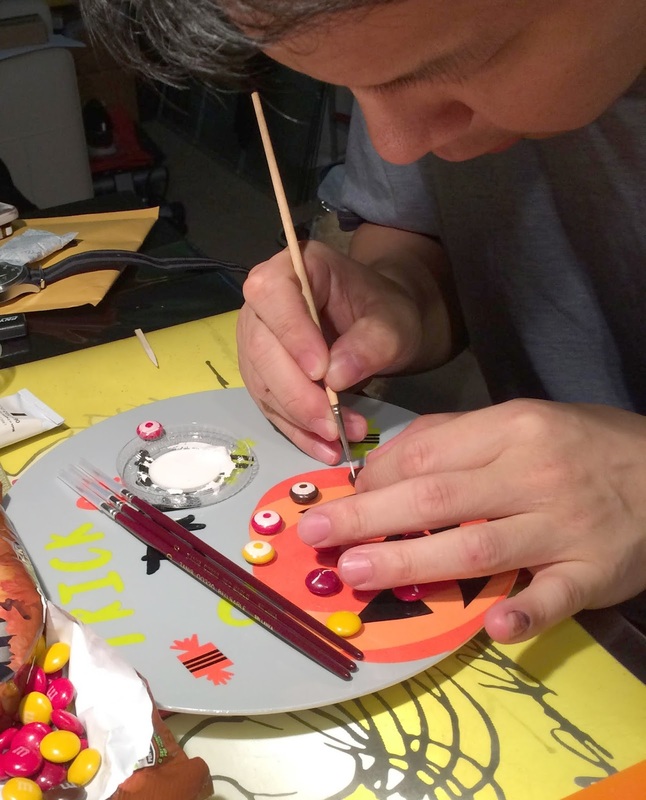 The Alt1tude Forum is having their fourth annual Halloween competition. I entered last year and won some cool stuff. This year, there is more cool stuff, including another key ring and a wooden display. I know I am not going to top what I did last year, but I will enter anyway. This year, my theme is based on the Bremont crown. Like most watch companies, the crown of each (okay, most) Bremont has their logo on it, the propeller. 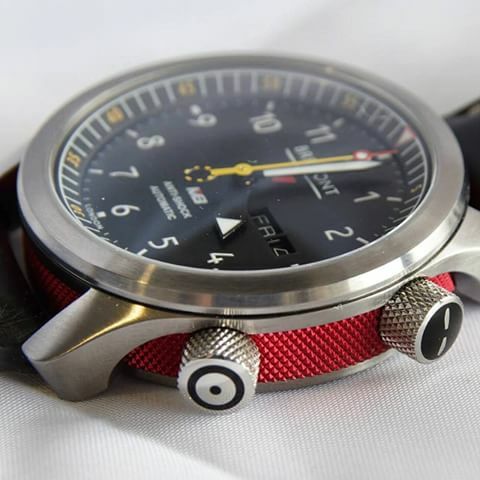 For some Bremont ranges that have a Roto-Click™ bezel, there is a Royal Air Force roundel on the crown. 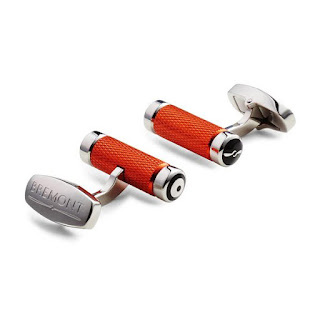 These crown details are also seen in Bremont's accessories like key fobs and cufflinks. So, my idea is to paint these little logos on to chocolate confectioneries that are coated in a hard candy shell...basically, M&M's. By the way, this is also the 75th Anniversary of M&M's (introduced in 1941). Contrary to popular belief, I do not have a surplus of M&M's, so I needed to do some shopping. 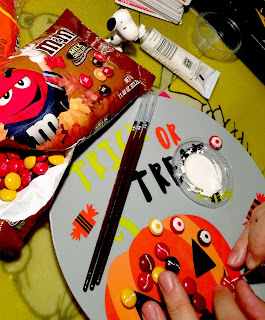 Luckily, this happens to be a Halloween competition...and they have Halloween themed M&M's, of course they do. This is perfect as they are Fall/Halloween colours. I even bought a plastic plate to tie everything together. And yes, I do have paint supplies, so no need to acquire those. When people ask me, "what did you do this weekend". I answer with, "I painted logos on M&M's"
I spent about ninety minutes painting logos. Only six roundels and about twenty propellers were painted for the photo. Here are the final compositions for the competition. Above with my ALT1-C and painted M&M's 'pouring' out of the bag. I thought it might look interesting to have the M&M's pour out of the Bremont pouch from the key fob I won last year. Maybe someday, Bremont will release a line of 'Tested Beyond Endurance' confections and desserts.